Indians joining al Qaeda were moved by the 1992 Babri Mosque demolition and 2002 Godhra riots and were committed to establish the base of terror outfit al-Qaeda in the Indian Subcontinent (AQIS) here, Delhi Police told a court. In its charge sheet filed against 17 accused, Special Cell of Delhi Police said for the purpose of jihad, some of them had gone to Pakistan and had met Jamat-ud-Dawa chief Hafiz Saeed, Lashkar-e-Taiba (LeT) chief Zaki-ur-Rehman Lakhvi and several other dreaded terrorists. "While delivering jihadi speeches in various mosques, he (arrested accused Syed Anzar Shah) met Mohd Umar (one of the absconding accused) and they discussed atrocities on Muslims in India, especially Godhra and Babri Masjid issues. Umar got impressed with his jihadi ideology and speeches and committed himself to the cause of jihad and expressed the desire to receive arms/ammunition training from Pakistan," the charge sheet filed before Additional Sessions Judge Reetesh Singh said. It said that Umar was operating from Pakistan. Police said accused Abdul Rehman had provided safe hideouts in India to Pakistani militants Salim, Mansoor and Sajjad, all members of Jaish-e-Mohammed, who were later killed in a shootout in Uttar Pradesh in 2001. These three Pakistani militants had come to India to take revenge for Babri Masjid demolition and had planned to attack Ram Mandir in Ayodhya but got killed, the charge sheet claimed. The police named in its charge sheet 17 accused, 12 of whom are absconding, for allegedly conspiring, recruiting Indian youths and establishing a base of AQIS in New Delhi. In its final report, the agency has charged five arrested accused - Mohd Asif, Zafar Masood, Mohd Abdul Rehman, Syed Anzar Shah and Abdul Sami - for alleged offences under the provisions of Unlawful Activities (Prevention) Act (UAPA). All the 17 accused were listed in the charge sheet for alleged offences under sections 18 (punishment for conspiracy), 18-B (punishment for recruiting of any person for terror act) and 20 (punishment for being member of terror organisation) of the UAPA. The accused were arrested between December 2015 and January 2016 from different parts of the country. 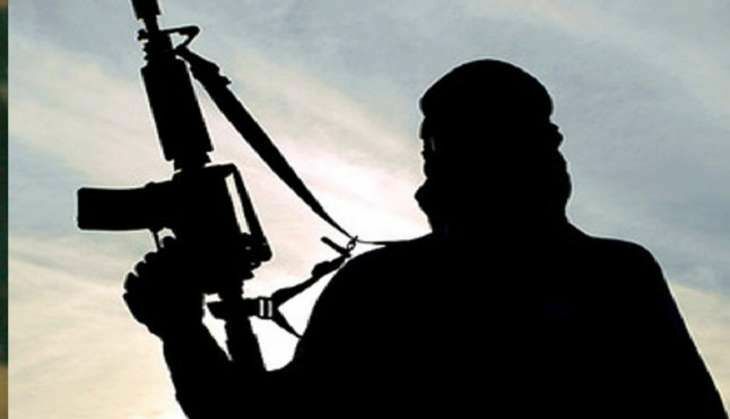 The probe agency has alleged that al Qaeda was trying to set up its base in India under the banner of AQIS and some youths from districts of western Uttar Pradesh had already left India and joined its cadre in Pakistan. It said that one of the modules of the outfit was active in Sambhal district in Uttar Pradesh. It alleged that the accused were in touch with terrorists from Pakistan, Iran and Turkey via social media and mobile phones, and they had visited these countries and had also financed AQIS and motivated the youths for jihad. Besides the five arrested accused, the agency also named in its charge sheet 12 others who are at large and the court had earlier issued non-bailable warrant against them. The FIR in the present case was registered after the arrest of Asif on 14 December last year.